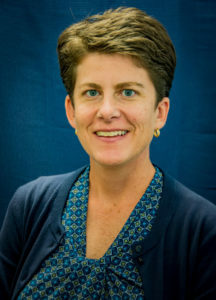 Reinhardt University’s Julie Fleming will be leading the Georgia Association of Collegiate Registrars and Admissions Officers’ (GACRAO) Institute for Strategic Enrollment Management (GISEM) as its chair next year. Some of the role’s duties include coordinating the annual GISEM track of sessions, reviewing and approving candidates for the program, selecting topics and speakers, chairing the GISEM planning committee, coordinating and conducing graduation, and ensuring field experiences are completed by the participants. Three Reinhardt professionals have completed the program to become registered enrollment professionals, including Fleming, Director of Admission Lacey Satterfield and Associate Director of Admission Christopher Bryan. GISEM is designed to promote industry expertise in the field of collegiate enrollment management strategies. In the late 1980s, enrollment management nationally became a recognized and critical field within colleges and universities. As a result, many GACRAO members’ job responsibilities expanded to include crossover functions including Admissions, Recruitment, Records/Registrar, Financial Aid, and other areas of student services. These members became the first Enrollment Manager pioneers in Georgia. GACRAO continues to serve as the professional organization for Admissions and Records Officers in Georgia. These upgraded sessions advance progress in professional development as illustrated by the 2005 pilot Advance Track focus for veteran Enrollment Professionals offered at the GACRAO Conference held at Jekyll Island.